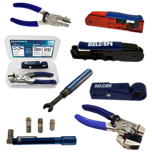 PPC Broadband has an extensive range of tools available - meaning prepping and terminating connectors has never been so easy or accurate. Furthermore, PPC Broadband offer a Tools for Life service. 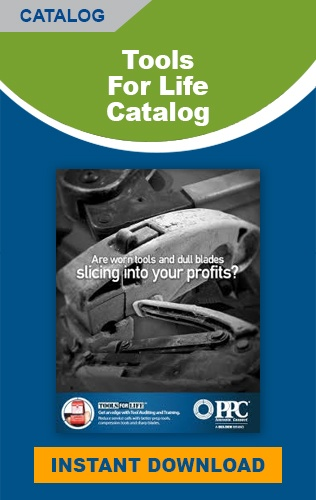 Tools for Life is an extension to PPC's comprehensive training and is designed to enhance the quality of installations. 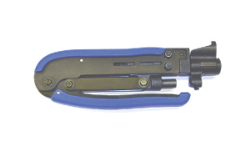 Defective tools are a major contributor to faulty installations that result in service calls. When you use Perfect Flex™coaxial cable and PPC F-connectors you can be certain that you will receive superior performance and in turn, receive superior support. Available in pre-set torque settings of 20, 30, and 40 inch pounds. Designed for use with all 7/16” connectors. 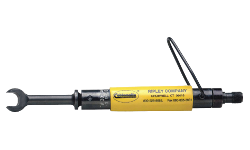 Designed for use with security shield applications when used in conjunction with Ripley S-200 Security Shield tool. Unique tap port re-threader feature cleans and repairs damaged “F” connector ports. 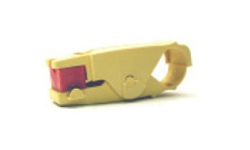 CPT coax cable strippers are factory-calibrated to remove the right amount of cable jacket, cut the braid and dielectric to the proper length, and expose the center conductor in one smooth operation. DDT Dual Drop Trimmer and LDT Lightweight Drop Trimmer tools One Step cable preparation precisely exposes the center conductor by 5/16 in. (7.93 mm) and removes the proper length of jacket at 1/4 in. (6.35 mm). The DDT and LDT are supplied with unique polymer braid brush attachment for folding back the braid after cable preparation.